While We’re Young is the new film by writer/director Noah Baumbach (Greenberg, Frances Ah). Starring Ben Stiller, Naomi Watts, Amanda Seyfried and Adam Driver, the film tells the story of a middle-aged Manhattan couple whose square life is turned upside down by the appearance of a young hipster couple from Brooklyn. This bitter-sweet comedy features an eclectic soundtrack compiled by music supervisor George Drakoulias. 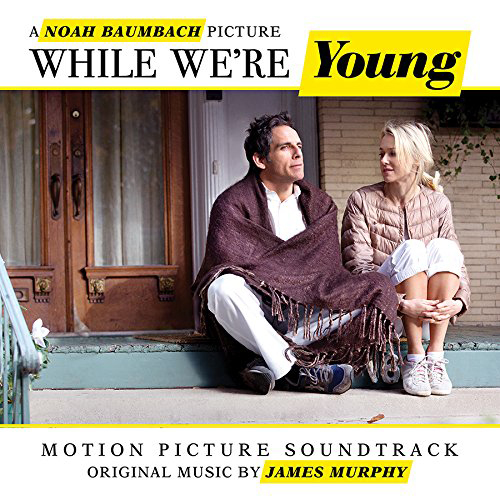 In addition to the ethereal and hypnotic score by James Murphy (LCD Soundsystem) the album includes music by David Bowie, Haim, Paul McCartney, Antonio Vivaldi, A Tribe Called Quest, The Psychedelic Furs and many more.